Something a lot of XRP holders are waiting for is the SEC’s verdict on whether Ripple’s XRP is a security or not. Earlier this year, the SEC announced that neither Ethereum nor Bitcoin is a security. About XRP, however, no announcement has been made yet. This is, according to Coinbase, also one of the reasons why they haven’t listed the 3rd biggest cryptocurrency on their platform yet. But, is the verdict around the corner? It has to been seen if cryptocurrencies may or may not be declared as securities by the SEC. And if so, which cryptocurrencies will be declared a security and which one will not? XRP developed by Ripple Labs has been in the middle of this debate whether digital currencies are securities or not. Especially because the 3rd biggest currency has still not been listed on Coinbase, all because they want to await the decision from the SEC. 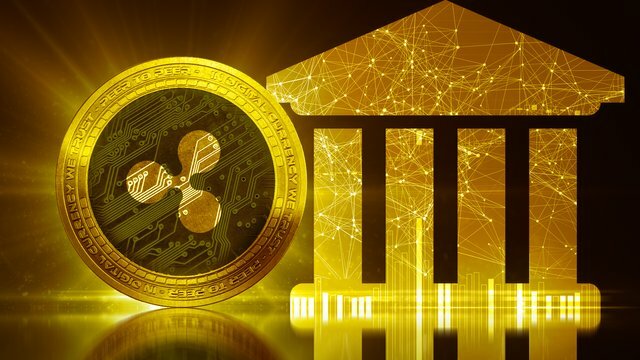 Crypto fundamentalists believe that XRP must not be considered as a decentralized cryptocurrency because it does not fulfill certain criteria. XRP tokens are pre-mined and its decentralized nature is a matter of open discussion. But not according to a former employee of the US Securities and Exchange Commission, also known as SEC. Michael Didiuk, who worked for the SEC before he retired, said last week that he believes XRP is a currency rather than a security. Didiuk argued his statement by referring to the famous Howey Test, saying that Ripple’s token, XR, is not meeting the four criteria that define a security. As Didiuk stated, Ripple is independent to XRP which means that there’s no need for intermediaries. Didiuk stated if an asset lacks one of these factors, then it is not a security. Didiuk also said XRP is a currency and have nothing in common with the company of Ripple hence, it’ll operate without the help of Ripple company. Because of that, Didiuk said he thinks XRP is well and truly, a currency. Clarifying the nature of XRP could trigger great results for XRP in terms of price, adoption and enhanced interest. That said, it has to been seen when the SEC decides to give more clarity about XRP and whether they believe it is a security or not. XRP holders can only hope the decision comes sooner than later. Originally published at altcoinbuzz.io on OCTOBER 10, 2018.